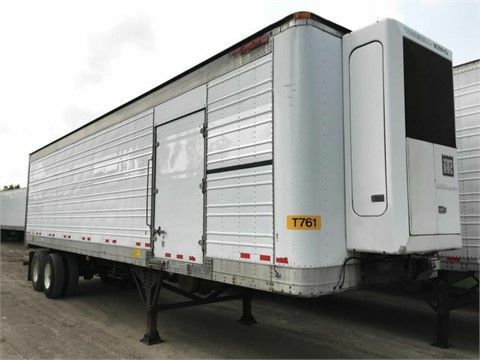 2002 Great Dane 36' x 96" W/Side Doors - Reefer Trailer in Roseville , Minnesota - Listing# 322917 - Trailers-Online, Inc. Please contact me regarding the 2002 Great Dane 36' x 96" W/Side Doors - Listing# 322917 for sale at TruckerToTrucker.com. Take a look at this 2002 Great Dane 36' x 96" W/Side Doors. It is Listing# 322917 at TruckerToTrucker.com. 2002 Great Dane 36' X 96" Reefer Trailer W/4' Curbside Door w/ Step & Grab-handle, (2) Rows of E-Track, Flat Aluminum Floor, 90" x 90" Rear Door Opening, Price Does Not Include Reefer Unit, Great Water Tank Trailer, Delivery Available.